Scott Aaronson attacks a new paper by Ross Anderson and Robert Brady on Why quantum computing is hard and quantum cryptography is not provably secure. The paper tries to give an "possible explanation of why we’re stuck at three qubits". 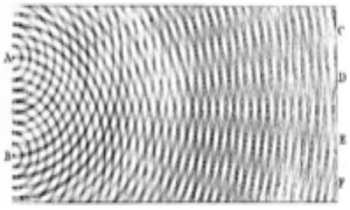 Anderson and Brady are asserting that experiments conducted to date observe coherence between distant particles, but fail to eliminate the possibility that the two particles are responding to an identical third stimulus – like the bouncing droplet in the video. In other words: two boats on a lake, bouncing on the waves, aren’t demonstrating quantum physics, they’re responding to the same ripples. The reasoning is a little fuzzy here. I say that the quantum crypto security is dubious for other reasons. I understand that you consider a quantum computer running Shor’s or different algorithm to be something in between the Earth and Heaven – after all, we don’t have it yet. 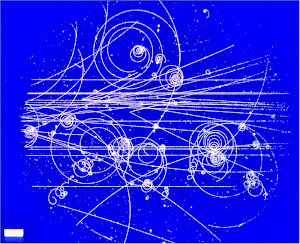 My suspicion is that you also want to say that its possible existence is disputable because this makes your field look like unsettled, ongoing research near the frontiers of physics knowledge – which it’s actually not because in reality, quantum computation is just an advanced engineering application of rudimentary physics insights of the 1920s and 1930s. Even if they predict a huge “temporary” setback (e.g., losing a war), they typically also predict that far enough in the future, the world will come to see the martyrdom and heroism of their cause. For this reason, I submit that, while it’s not necessary as a matter of principle, in fact most political ideologies are pretty tightly coupled to empirical predictions about the future of humankind: for example, “the world will come to see the rightness of superior races enslaving or exterminating inferior ones.” And many of those predictions have been pretty dramatically falsified.